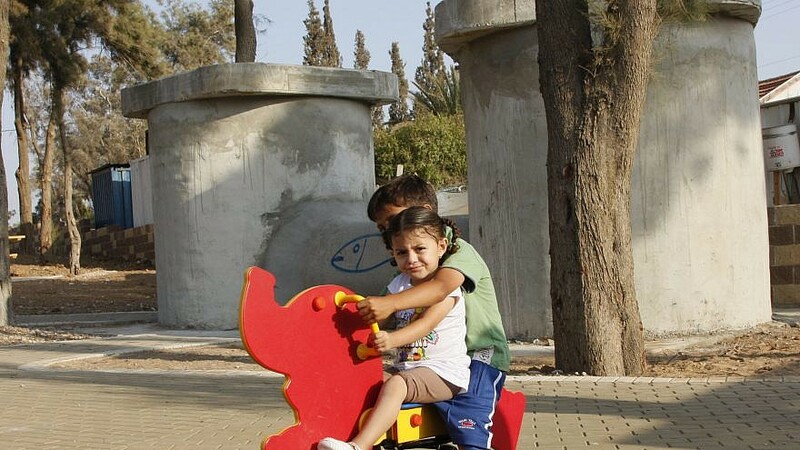 Children play outside in Sderot, which also has an enormous underground concrete recreational area with three bomb shelters for protection from regular Kassam rockets launched by Hamas in the neighboring Gaza Strip. The playground is the first of its kind in the world. Photo by Daniel Dreifuss/Flash90.